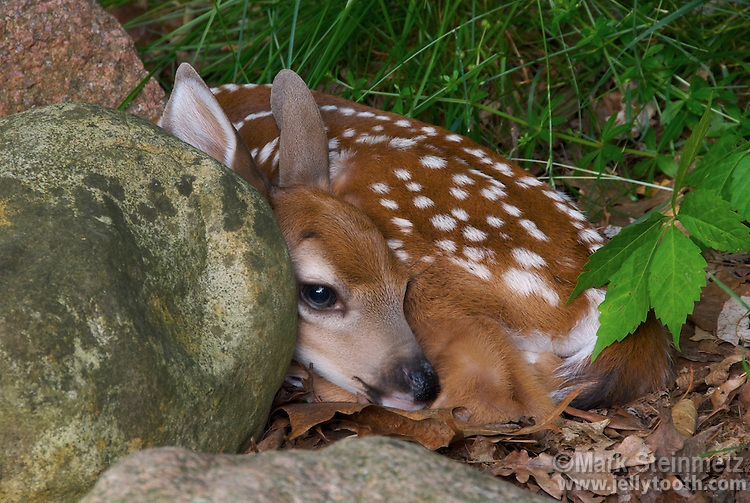 White-Tailed deer (Odocoileus virginianus) fawn, just a few weeks old. The doe will leave for up to four hours at a time to forage. Before returning to nurse, she carefully selects a hiding place. New fawns have no odor of their own, and will remain motionless, blending into their environment, all of which helps deter detection of predators.